Human ability to modify nature greatly enhanced our ability to adapt and survive. But this ability has now grown to such proportions that we might have to consider humanity an active geological force. A new study by the Potsdam Institute for Climate Impact Research (PIK) has claimed that human activity would be able to suppress the beginning of the next ice age. Scientists have found that CO2 concentration in the atmosphere and solar radiation reaching Earth have been key factors in determining the last eight glacial cycles in Earth’s history. The study claims that even moderate interference in the natural carbon cycle by humans might postpone the next ice age by 100,000 years. "Even without man-made climate change, we would expect the beginning of a new ice age no earlier than in 50,000 years from now—which makes the Holocene as the present geological epoch an unusually long period in between ice ages," said lead author Andrey Ganopolski in a press release. "However, our study also shows that relatively moderate additional anthropogenic CO2 emissions from burning oil, coal and gas are already sufficient to postpone the next ice age for another 50,000 years. The bottom line is that we are basically skipping a whole glacial cycle, which is unprecedented. It is mind-boggling that humankind is able to interfere with a mechanism that shaped the world as we know it." This is the first time that scientists have been able to isolate and quantify key factors responsible for the onset of the past eight ice ages. "Our results indicate a unique functional relationship between summer insolation and atmospheric CO2 for the beginning of a large-scale ice-sheet growth,” said Ganopolski. The researchers used an elaborate Earth systems model to simulate atmosphere, ocean, ice sheets and global carbon cycle simultaneously. The paper, published in the journal Nature, analyses the effects of man-made CO2 on the volumes of ice in the northern hemisphere. According to co-author Ricarda Winkelmann, even small additional carbon emissions will have an impact on evolution of ice sheets in the northern hemisphere on an epochal timescale. By moderate estimates of human emissions of 1,000-1,500 gigatonnes of carbon, the next glacial age would be postponed by at least 100,000 years. 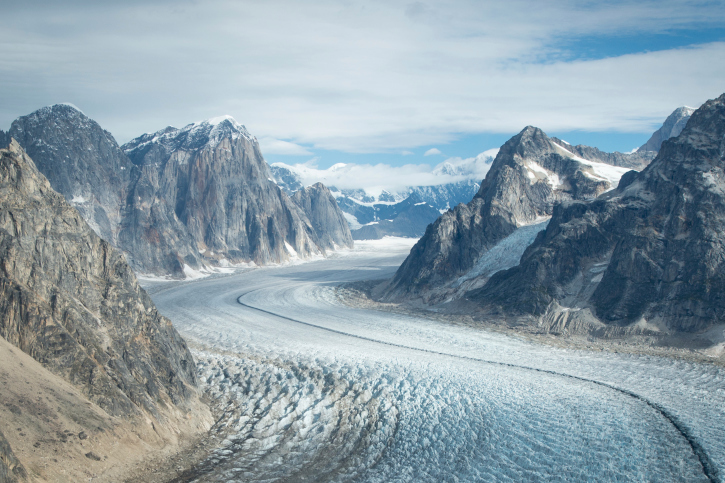 Glacial cycles have shaped the planet and life on it as no other geological phenomenon and the impact of humans on this cycle requires attention. Usually, the onset of an ice age is characterised by very low summer solar radiation received by Earth, as is being observed currently, but this is not supported by any other evidence of the beginning of the new ice age. One of the co-authors and PIK Director Hans Joachim Schellnhuber has dubbed this era as the “deglacial era”.